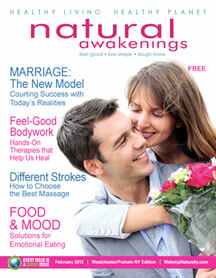 Event Briefs from Natural Awakenings Magazine – Westchester/ Putnam NY Edition. Living Yoga, a vinyasa studio in Cold Spring, is launching a Teacher’s Advancement Program. The continuing education program is designed to provide an inspiring environment in which yoga teachers can further their training, ask questions and brainstorm with other teachers. In addition to these workshops, Living Yoga offers four Level 3 classes per week and a monthly level 3-plus class for area yoga teachers. Future workshops will feature guest teachers and asana clinics. Living Yoga is located at 3182 Rt.9, just south of I-84, in Cold Spring, NY. For more information, email info@LivingYogaStudios.com, call 845.809.5900 or visit LivingYogaStudios.com. Find them on Facebook at LivingYogaStudios. The Scarsdale Friends Meeting presents Quaker Quest Programs that invite the public to learn more about this spiritual community. The get-acquainted sessions take place on Sunday afternoons, March 3, 10, and 17, from 2 to 4 p.m., and childcare and light refreshments will be available. Quaker Quest sessions will center on sharing personal journeys and contemporary Quaker beliefs with the community at large. Each program will feature presentations by Scarsdale Friends Meeting members on a set topic, followed by small group discussions and question-and-answer opportunities. Topics include Quakers and the Spiritual Quest (March 3), Quakers and Environmental and Social Activism (March 10) and Quakers and Parenting (March 17). At the end of each session, guests will be invited to participate in a Quaker worship meeting. “Quaker core values include simplicity, peace, integrity, community, equality, and silence,” says member Ginny Blanford. 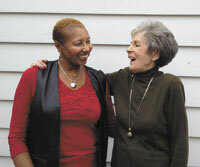 “They lead both to a spiritual path for our time that is simple, radical, and contemporary, and to the daily challenge of seeking ways in which to live by these values.” Scarsdale Friends Meeting, which was founded in the early 1940s, sponsors a nursery school, outreach programs in local shelters, and a prison ministry. The Quaker Quest program will be repeated in April. The Scarsdale Friends Meeting is located at 133 Popham Rd., just off the White Plains Post Road, in Scarsdale, NY. For more information, call 914.946.8722 or visit ScarsdaleFriendsMeeting.org. Also find them at Facebook.com/ScarsdaleFriendsMeeting. Families interested in enrollment in grades K-8 are invited to visit Blue Rock School during the school’s Introductory Session at 10 a.m., March 9. Parents can tour the wooded four-acre campus, meet Blue Rock faculty and hear how the school’s vibrant, creative environment nurtures children’s natural curiosity and fosters a lifelong love of learning. At 2 p.m. the same day, parents and their children ages 3½ to 12 will have an opportunity to learn about the school’s adventure-filled, five-week Summer Play Camp. Campus tours will be given including the new Arts & Nature Studies Annex and pool, and adults can meet camp personnel, while their children enjoy staff-led games and activities. Summer Play is open to the community. Children must be accompanied by an adult. Blue Rock is a progressive, independent day school, founded in 1987 with a mission to offer an experiential approach to education that enables children to follow their natural curiosity, develop as independent thinkers and grow in a dynamic learning community. Students engage in a challenging academic curriculum that fully integrates the arts and nurtures their innate desire to learn. Location: 110 Demarest Mill Rd. (off Germonds Rd. ), West Nyack, NY. Morning attendees: RSVP to Admissions Director Beverly Stycos, at bluerockschool@verizon.net or 845.535.3353. Afternoon attendees: RSVP to summerplaycamp@gmail.com or 845.627.0234. For more information, visit bluerockschool.org. Psychologist and coach Precious Sellars-Mulhern, PhD, presents Precious Possibilities For Women, an annual retreat designed to bring women together to nurture and support one another. The next retreat takes place on Sunday, March 24, at Wainwright House in Rye. An associate professor in the Counseling Center at Borough of Manhattan Community College, Mulhern has entitled this year’s retreat, “Re-Scripting Your Life: Tapping Yourself To Joy.” It features, Melinda Martin, LCSW, an expert in Energy Psychology and Emotional Freedom Technique, a method of meridian tapping that helps people to free themselves from traumas, pain and limiting beliefs. Wainwright House is located at 260 Stuyvesant Ave. in Rye, NY. For more information and to register for the retreat, visit PreciousHealthandBeauty.com or call 914.522.5276. The Eileen Fisher Leadership Institute (EFLI) has opened the application process for the 2013 summer session. Now in its fourth year, EFLI promotes leadership in young women through self-empowerment, connection with others and activism in Westchester County. Applications may be submitted online at EFLI-Life.org and are due by any of the following deadlines: March 1, April 5 or May 3. For more information, call 914.487.3354 or email EFLI@EileenFisherLeadershipInstitute.com. Sound Earth, New York’s only manufacturer of natural, pet-safe cleaning products, presents their annual Fishkill Cares for Cats benefit on Saturday, March 30. The family-oriented event takes place from noon to 4:30 p.m. at the Dutchess Plaza Shopping Center in Fishkill and features food, music, face painting, raffles and humane education and demonstrations. Proceeds go to Furry Friends Pet Rescue, Inc. of Hopewell Junction, Katmarroon, Inc. of Newburgh and the humane efforts of Sound Earth. In addition to the festivities, The Animal Rights Alliance, Inc., a mobile spay and neuter clinic for cats, will provide low cost health services to cats on site. The service benefits animal rescue organizations, individuals and families who have not, for financial reasons, been able to spay or neuter their pets. Feline drop-off services are by appointment only and take place from 7:30 to 8:15 a.m., with pick-up times from 4 to 4:30 p.m. For complete details, to sponsor a cat or set up an appointment, visit SoundEarth.com/fishkillcares or call Ann at 845.489.2378. The first 50 cats to be dropped off will receive a goodie bag. Fishkill Cares for Cats attendees will receive a free raffle ticket when they donate an item from any rescue center wish list, and adoption applications will be accepted. Sound Earth, which is recognized as a cruelty-free company, offers customizable, scented products that are safe for people, pets and the planet. The Dutchess Plaza Shopping Center is located at 1545 Rte. 52 in Fishkill, NY. For more information about Sound Earth and Fishkill Cares for Cats visit SoundEarth.com. YogaSpin, a new hybrid of yoga and spinning, is now offered at Apogee Fitness and Wellness in White Plains. 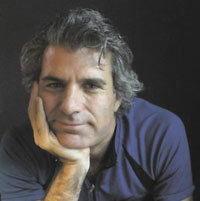 YogaSpin was created by Gersh Rosen, an experienced yogi and cyclist who teaches the class. Rosen says that pranayama, or yogic breathing, synchronizes the heart, lungs and body in movement, resulting in sustained energy and power and extended aerobic thresholds during the YogaSpin workout. “There’s also an optional, exciting sing-along during a simulated climb that demonstrates the effectiveness of this breathing, and the vinyasa flow strengthens muscles and hastens recovery in stretch periods,” Gersh adds, noting that the cool-down period includes a guided meditation for integration and relaxation. “This mind-body class achieves the best of both yoga and cycling,” says Rosen. “There’s serious core and muscle strengthening, heart-healthy breathing, major calorie burns, and an endorphin high. It ends with a real sense of calm and purpose.” YogaSpin is offered Mondays at 8 a.m., Tuesdays and Thursdays at 7 p.m. and Friday and Sunday at 10 a.m.
Apogee Fitness and Wellness is located at 140 Mamaroneck Ave. in White Plains, NY. Those wishing to support the cause can also walk with the One T @ a Time Team by registering at UnityWalk.org, entering the team name in the search bar and joining the team. For more information regarding the One T @ a Time campaign or Team, contact Justine@GreenChanges.org and visit GreenChanges.org. StarVisions, Inc. presents an evening of spiritual comedy and musical entertainment on Saturday, March 2, at the Unitarian Universalist Church in Mt. Kisco. Starry Nights Café begins at 7:30 p.m. and the cost is $20. The evening features a unique spiritual improvisation routine by writer, poet, past-life regressionist and medium Jessica Lawrence, who brings in personalities “from the other side of the veil” with her Brooklyn accent. Audience participation will be encouraged for her tag team improvisation skits. The event will be topped off by the adult contemporary music of Westchester’s own Porter Smith, accompanied by singers Megan Longwell and Meirav Eytan. “StarVisions is all about community,” says president Peter Ferrio. “We provide spiritual seekers with opportunities to connect with like minded individuals, not only during the programs that we offer throughout the year, but at social events like this one.” Doors open at 7:15 p.m. for the Starry Nights Café, and healthy snacks and non-alcoholic beverages will be available. The Unitarian Universalist Church is located at 236 South Bedford Rd., Mt. Kisco, NY. For more information, visit StarVisionsCommunity.org or call 914.236.4503. After taking nearly a year off to heal a broken leg, Donna Costa is practicing massage therapy again. Costa returns with a remodeled therapy room, several new programs and package deals for bringing the relaxation of massage to clients’ homes. Costa has also studied Native American spirituality and healing methods for more than two decades with such indigenous elders as Wallace Black Elk, Sun Bear, Bear Heart, Beautiful Painted Arrow and Nicki Scully. “I incorporate these healing modalities into my massage therapy and in ceremonies to help those dealing with addictions and with healing the child within,” she says. As of this month, Costa is also offering Full Moon Drumming Circles and facilitating a monthly sharing group. “This group is for conjuring our hopes, dreams and goals,” she says. “It’s a safe place to share, support, and fine-tune ideas and dreams to create the future that participants envision. I’ll call on everyone to pool our energies and share visualizations to achieve common and personal goals.” Costa says that her monthly groups will start with a heart circle, followed by a meditation focused on sending ideas and dreams “out into the universe” to assist participants in achieving their highest and deepest hopes. Donna Costa Massage Therapy is located at 58 Wickes Ave. in Yonkers, NY. For more information, call 914.907.4485, email CoyoteQn@aol.com or visit DreamDancerHealingMassage.com. Local Resilience: A Transition Town Weekend – Feb 1- Feb 3. This three-day course is an in-depth experiential introduction to the Transition Movement. Connect with others who share concerns about peak oil, climate instability, and economic deterioration. $140/$50 students. South Church, Dobbs Ferry. Info: Kathy: 914.693.7389. Angel Circle – 7-9pm with Katie Ciriello. Synchronicity, 1511 Rte 22, Brewster. $35. 845.363.1765. SynchronicityNy.com. Oneness Blessing Program – 10-11:30am. Learn about Oneness consciousness, neurobiological process to enrich consciousness through the Oneness Blessing. Receive the Deeksha. Free. Unitarian Universalist Church, 236 S Bedford Rd, Mt.Kisco. StarVisionsCommunity.org; 914.588.4079. Uniquely You Yoga – 10am-12noon (2/2-4/26). Design a yoga practice that is uniquely yours. 6 week sessions includes complimentary consultation. $175. On-going enrollment, pre-registration required. Soulauras, 520 N State Rd, Briarcliff. 914.941.2400. Book Discussion/Reading – 1pm. Author Joan Gussow reads from her book “Growing Older”, a touching memoir on the loss of her husband of 40 years, gardening experiences in the Hudson Valley and more. Reception/discussion follows. Donations gratefully accepted. Teatown. RSVP: 914.762.2912 x110. TeaTown.org. Core Principles of Pilates – 12:30-2:30pm with Kate Petagine. A pre-requisite to the group Pilates class, this class focuses on the teachings of Joseph Pilates’ principles to properly and safely execute exercise. $15. Pre-registration required. Inner Balance Studio, 1072 Rte 311, Patterson. 845.878.7800. Reiki I Class – 2-6pm Feb 4 & Feb 5. Learn the self-healing benefits of Reiki, history, ethics, and hand positions with Anne Bentzen, Usui/Karuna Master. $150 manual/certificate.1 Great Hills Farm Rd, Bedford. 914.588.4079. StarVisionsCommunity.org. Getting a Taste for Mindfulness –7:30-9pm. Along with breath awareness and guided meditation, participants experience a body mind connection with expert instruction. $160/5 or $35/ea. Includes light organic meal. Erica’s Kitchen, 1 Court Rd, Bedford. 516.233.9856. TranscendenceAt SunRaven.com. Treating Negative Emotions – 7-8:30pm. Learn Tapas Acupressure Technique (TAT) which blends contemporary and ancient healing approaches. $15/includes TAT manual. Center for Aligned Healing, 175 King St, Chappaqua. RSVP/info: 917.885.0221. CenterForAlignedHealing.com. Vinyasa Flow Yoga – 7-8:30pm. w/ Shaman Mikki Davis. Wednesdays beginning 2/6. $15. Ixchel Center, 308 Battle Ave. White Plains. RSVP: 917.620.0444. Vinyasa Flow Yoga – 10:30-11:45am. w/ Shaman Mikki Davis. Thursdays beginning 2/7. $18. Center for Aligned Healing, 175 King St Chappaqua. RSVP: 917.620.0444. Vision Board Workshop – 7-9pm with Carla Blaha. Synchronicity, 1511 Rte 22, Brewster. $35. 845.363.1765. SynchronicityNy.com. 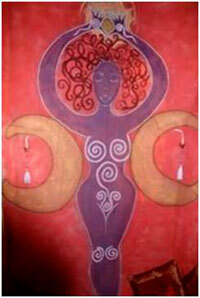 The Sacred Feminine and Goddess – 7-9pm. w/ Jo Jayson. Discussion about the Goddess, her many faces and personalities, and meditation to invoke this Sacred Feminine. $30. At W@tercooler, 21 North Broadway, Tarrytown. Info: jojayson.com. Teatown’s Hudson River EagleFest – 9am-4pm. Headquartered at Westchester County’s Croton Point Park, this event features multiple eagle viewing locations staffed with birding experts, helping the public view this national symbol in the wild. Info/tickets: 914.762.2912 x110. TeaTown.org/eaglefest. Planning a Spring Garden – 10am-12noon. Bring a pencil and pad and learn how to plan for a successful spring vegetable garden. $20/adult; $5/child ages 8-12. Hilltop Hanover Farm, 1271 Hanover St Yorktown Heights. Registration required. 914.962.2368. HillopHanoverFarm.org. Painting from the Inside Out Workshop – 10am-4pm. Come explore, experiment and play while painting. Allow spontaneity to release creativity and affect life. No skills required. $90. Tarrytown location. Info/register: Eve-Marie: 914.844.6213. EveMarieElkin.com. Share The Love Spa Day – 12-5pm. Stop in for a free spa day that includes complimentary mini neck and shoulder massages, mini facials, and hand massages. Whole Foods Market Yonkers, Westchester’s Ridge Hill, 1 Ridge Hill Blvd, Yonkers. 914.378.8090. WholeFoodsMarket.com. Beekeeping 101 – 1-3pm. This is the first in a new beekeeping series at the farm aimed at getting started on the road to having bees in the backyard. Register for one or all (3) classes in the series. Barn F. $20/pp. Online registration required: HilltopHanoverFarm.org. Symbolic Resonance/Year of the Snake 2013 – 2-4:30pm. Astrologer Pamela Cucinell provides an overview of what to expect in 2013 including group work with some individual focus. $45 The Center for Aligned Healing, Chappaqua. RSVP: 917.796.6026. InsightOasis.com. Red Tent Temple Gathering – 2-4:30pm. Experience doing nothing for a few hours; including having a plan or direction. Come rest, talk, share and be supported in this gathering for women of all ages and cycles. Ixchel Center, 308 Battle Ave, White Plains. RSVP Cathy: 914.912.2351 or Mikki: 917.620.0444. Kids Make Their Own Valentines – 4:30-5:30pm. Make a special floral bouquet and or Valentines for friends and family. $12 per child/includes supplies. Whole Foods Market Yonkers, Westchester’s Ridge Hill, 1 Ridge Hill Boulevard, Yonkers. 914.378.8090. WholeFoodsMarket.com. Our Air, Water and Food At Risk: Update on Hydrofracking In New York – 7pm. w/Ellen Weininger of Grassroots Environmental Education and Erin Heaton Meyer of Catskill Citizens for Safe Energy. Learn how the Governor’s choice to enable or prohibit fracking affects New Yorkers throughout the state. Free. Greenburgh Nature Center, 99 Dromore Rd. Scarsdale. Info: greenburghnaturecenter.org; 914.723.3470. Past Life Regression Workshop – 7-9pm. Workshop features a self-love theme. Synchronicity, 1511 Rte 22, Brewster. $35. 845.363.1765. SynchronicityNy.com. Singles Night at W@tercooler – 8-11pm. Meet other hip like-minded singles at W@tercooler’s first Single Night. Festivities to include henna tattoos, tarot readings ($10 each), art, dancing, open bar (beer and wine) and an array of Japanese cuisine. $35. W@tercooler, 21 North Broadway, Tarrytown. Info: 914.332.1400. School Garden Educator Workshop – 8:30am-4pm. Offered through Northern Westchester BOCES, for continuing education credits for educators, program provides “hands-on” practical knowledge of school farming experiences gleaned from lessons from crop gardens and Farm at home educational gardens. Hilltop Hanover Farm, Yorktown Heights. Registration: 914.248.2335 or 2339. Community Yoga – 12-1:15pm. Appropriate for all levels, admission by donation of personal care products for Pawling Community Resource Center. Inner Balance Studio, 1072 Rte 311, Patterson. 845.878.7800. InnerBalanceStudio.org. February Vacation Nature Camp – Mon-Thurs, Feb 18-21, 9:30am-1pm (for grades K-3). Naturalists will involve, amuse, stimulate and inform children with animal study, nature crafts, nature exploration, and nature games. Members $160, non-members $210. Greenburgh Nature Center, 99 Dromore Rd. Scarsdale. Info: greenburghnaturecenter.org; 914.723.3470. Mindful Monday Meditation – 7:30-9pm. Participants are guided in an intelligent sequence of breath and meditation techniques that enhance comfort and ease in body and mind. $100/5 classes or $25/ea. Transcendence at SunRaven, 501 Guard Hill Rd, Bedford. 914.218.3113. TranscendenceAtSunRaven.com. Women’s Wisdom Group –10:30am-12noon. Join a community of progressive women to share and support one another, while drawing inspiration from Mark Nepo’s seminal work, The Book of Awakening. $15/members or $30. Transcendence at SunRaven, Bedford. Info/register: 914.218.3113. TranscendenceAtSunRaven.com. Advanced Integrative Medicine Round Table Study Group – 12:30-2pm with Dr. Michael Finkelstein. Gather with like-minded holistic health practitioners discussing individual client challenges and share perspectives on approaches to healing. $30/members or $60. Call for pre-requisites. Includes light lunch. Transcendence at SunRaven, Bedford Hills. Info: 914.218.3113; TranscendenceAtSunRaven.com. Transcendence ReTreat – 9:30am-2:30pm. Transcendental Yoga (gentle morning movement) followed by hands-on food preparation, lunch and review of the principles of skillful nutrition; concluding with circle discussion on increasing harmony and balance. $50/members or $100. Transcendence at SunRaven, Bedford. 914.218.3113. TranscendenceAtSunRaven.com. Healings & Readings – 10am-6pm Feb 22-Feb 26 with Elka Boren. Synchronicity, 1511 Rte 22, Brewster. 845.363.1765. SynchronicityNy.com. Angel Workshop – 7-9pm with Elka Boren. Synchronicity, 1511 Rte 22, Brewster. $35. 845.363.1765. SynchronicityNy.com. Sugaring Sunday – 1pm, 2pm & 3pm. From tapping to collecting, boiling to bottling, Teatown’s naturalists will be in Warren’s sugarhouse sharing facts and folklore about this sweet time of year. Free/members or $5pp/nonmembers. RSVP: 914.762.2912 x110. Quantum Healing Circle – 7-9pm. Circle connects wisdom teachings to energy principles and interactive energy healing with Anne Bentzen, Reiki Master/Teacher. $25. Stern Chiropractic, 792 Rte 35, Cross River. 914.588.4079 x12. Register online: Balancing4Life.com. SunRaven Book Club – 7:30-9:30pm. “Back to the Summit, How One Man Defied Death & Paralysis to Again Lead a Full Life of Service to Others.” Author Omer Rains joins in for the sixth book series on Comparative Intelligence: Principles for Smarter Living. Transcendence at SunRaven, Bedford. Info: 914.218.3113. TranscendenceAtSunraven.com. Introduction to Massage Therapy as a Career – 10am-4pm. Join Finger Lakes School of Massage in Mt. Kisco for a one-day seminar exploring Massage Therapy as a rewarding career. Participants receive a 90 minute massage from currents students. $50. Finger Lakes School of Massage in Mt. Kisco. RSVP: 914.241.7363l. Info: flsm.com. Starry Nights Café – 7:30-9:30pm. StarVisions sponsored evening of socializing and entertainment with spiritual comedy and music. Relax among friends at Unitarian Universalist Church, 236 South Bedford Rd, Mt. Kisco. StarVisionsCommunity.org. 914.236.4503. Feldenkrais Anxiety Reduction Workshop –1-4:30pm. w/ Larry Attile. Participants learn how to free themselves from habitual physical patterns that contribute to, and exacerbate anxiety symptoms. $95. 79 Montgomery Ave. Scarsdale. Info: 914.588.0763; WestchesterChiKung.com. Ixchel Center in White Plains is hosting Red Tent Temple gatherings each month on the full moon. The gatherings are reminiscent of the moon lodges and menstrual huts that took place centuries ago, when women would remove themselves from daily responsibilities in order to be cared for by their elders. For more information, visit AlisaStarkWeather.com and scroll down to the section on the Red Tent Temple movement. The next Red Tent Temple Gathering takes place on Sunday, February 10, from 2 to 4:30 p.m. To register, email cathy@HolisticNP.com or mbaloydavis@gmail.com or call 914.912.2351. Ixchel Center is located at 308 Battle Ave. in White Plains. Visit HolisticNP.com or call 914.912.2351 for more information. The Yoga Garden of White Plains is celebrating 15 years of quality yoga instruction in the community, and students are invited to join the celebration. Anyone who takes their first class before February 28 will be entered to win one month of unlimited yoga classes. Holmes says that she teaches five principles of yoga, as opposed to one particular style. “The result is that, as our body learns to integrate these principles, poses reveal themselves in a beautiful and organic way that makes our yoga practice joyful, healthy and balanced.” Over the years, hundreds of students have taken classes at The Yoga Garden, located at St. Bartholomew’s Church, where both group classes and private instruction are offered. The Yoga Garden is located at 82 Prospect St. in White Plains. For more information call 914.325.7180, email yogagardenwp@gmail.com or visit YogaGardenWP.com. Each winter more than 100 bald eagles from Canada and northern New York and New England fly south to the lower Hudson Valley to feed on fish and waterfowl in unfrozen waters. Teatown Lake Reservation’s annual Hudson River EagleFest takes advantage of this phenomenon by helping visitors to view and learn about these majestic birds. This year’s event takes place on Saturday, February 9, from 9 a.m. to 4 p.m. at Croton Point Park. EagelFest features multiple viewing locations along the Hudson River; each staffed with birding experts, to help people see America’s national symbol in the wild. Informational shows will run all day at Croton Point Park, presented by a variety of experts, on many aspects of bald eagles, owls and other raptors. Additional eagle viewing sites along the Hudson River that are free of charge include the Kathryn W. Davis RiverWalk Center in Sleepy Hollow, Steamboat River Park in Verplanck, Riverfront Green Park in Peekskill, and Boscobel House and Gardens in Garrison. Keepsake maps, available at Teatown and each viewing site, will give precise directions to each location. Details on the daylong event can be found at Teatown.org/eaglefest/index.htm. Teatown Lake Reservation, located at 1600 Spring Valley Road in Ossining, is a private, non-profit nature preserve and education center spanning the towns of Yorktown, Cortlandt and New Castle. To learn more, call 914.762.2912 or visit Teatown.org. Croton Point Park is located at 1A Croton Point Avenue in Croton-on-Hudson. Larry Attile, a Guild Certified Feldenkrais Practitioner, is offering an anxiety reduction workshop on Sunday, March 3, from 1 to 4:30 p.m. in Scarsdale. Using the simple, gentle movements of Feldenkrais Awareness Through Movement exercises, Attile will teach participants how to free themselves from habitual physical patterns that contribute to, and exacerbate, anxiety symptoms. Attile’s workshop will focus on how people develop habitual patterns of muscular tension and poor breathing, and what new responses can reestablish internal balance. “Participants will leave the workshop with new ways of intervening that have been proven to alleviate anxiety in moments of stress,” he says. To reserve a space or learn more, call 914.588.0763. The workshop fee is $95. The workshop will be held at 79 Montgomery Ave. in Scarsdale. For more information about Feldenkrais and Larry Attile, visit WestchesterChiKung.com. StarVisions, Inc. council member Anne Bentzen, MSOT, RMT along with Oneness Blessing Trainers, Rosario Mazer and Vera Angelico, provide a free Oneness Blessing community service program at the Unitarian Universalist Church in Mt. Kisco on Saturday, February 2, at 10 a.m. This introductory program, sponsored by StarVisions, offers insights into understanding how the universal connection of all humanity can free the mind to experience more joy. The program includes instruction, video and the giving of the Oneness Blessing from Bentzen and others. Doors open at 9:45 a.m. and all are welcome. The Unitarian Universalist Church is located at 236 South Bedford Rd., Mt. Kisco. For more information visit StarVisionsCommunity.org or call 914.588.4079. Acker House Center for Integrative Health will open on February 1 at 139 Grand Street in , NY. The Center will celebrate with a free grand open house week Feb. 18-23, 10 a.m. to 8 p.m., with sample classes, consultations and bodywork sessions. Owned and directed by Liz Ingalls, a physical therapist and craniosacral therapist, the Center is where licensed and accredited holistic professionals and medical specialists provide quality care, health screenings and education for all ages. It is home to Holistic Physical Therapy, an eight-person physical therapy and occupational therapy practice using conventional rehabilitation and alternative modalities, from lymphatic drainage to organ manipulation, to successfully resolve many hard-to-treat conditions, including ADD, fibromyalgia, back and knee pain, headaches and incontinence. Other Center services include lactation and parenting support, sensory integration groups, dance-related fitness classes and more. The Center also houses the Wake Robin Shop, open by appointment. Call 914.707.1399 or visit AckerHouseNY.com for detailed information and a schedule of open house events. Beginner/Intermediate Yoga – 7-8:15pm (8/1, 8/8, & 8/15). For ages 12 and up, librarian Catherine Riedel leads a Hatha Yoga class that relieves stress and improves focus. Budarz Theater, 53 Croton Ave., Ossining, Free. 914.941.2416 x336; ossininglibrary.org. Pranayama Instruction & Meditation – 11:45am-12noon (Thursdays 8/4-8/25). Experience a practice of directing the breath, and in turn the mind. The YogaScape and Spa, 1100 Rte.52, 2nd floor (at Farmer’s Mills Rd. ), Carmel. 845.225.9642; theyogascape.com. Holistic Moms Network/ EMF – 6:30-8:30pm. Deborah Kopald speaks about Electromagnetic Pollution with an overview of the science and politics of wireless devices, and the current state of public policy and concrete tips for reducing radiation exposure. All welcome. Holistic Moms of Putnam County. Desmond-Fish Library. Rt. 9D and 403, Garrison. Info: 845.809.5242. Psychic Message Circle – 7-9pm w/Priscilla Keresey. Come receive messages from the other side as Priscilla facilitates between the two worlds, bringing in information from loved ones who have passed. Opal Moon, 2037 Albany Post Rd., Croton. $40. Registration required. 914.788.4955; opalmoon.net. Yoga/Iyengar Tradition – (8/5 & 8/6) w/Master Gabriel Halpern. Yoga and the Power of Intention: Friday, 8/5; 6-9pm. $40. Body Sighting and Hands on Adjustments for yoga teachers and serious students: Saturday, 8/6; 12-2:30pm. $35. Restorative Poses and Pranayama, 4-6pm. $30. $90/3 workshops. Registration: 845.225.9642. Channeled Meditation – 7:15-8:45pm w/Suzy Meszoly. Channeled meditation realigns imbalances, addresses illness & tunes one’s frequency to a higher resonance. Opal Moon, 2037 Albany Post Road, Croton. $35. Registration required. 914.788.4955; opalmoon.net. Street Fair and Carnival – 11am-4pm. Come enjoy a day of fun, carnival games, live music, food, vendors and more. Hosted by YWCA White Plains & Central Westchester, 515 North St., White Plains. Info: 914.949.6227 x148; ywcawpcw.org. Art Exhibition Opening Reception – 1-4pm Drop in the Library Gallery to meet artist Dr. John Diamond, enjoying his paintings over light refreshments, followed in the Budarz Theater at 2:30pm for music by the Diamond Jubilators. Budarz Theater, 53 Croton Ave., Ossining. Free. 914.941.2416; ossininglibrary.org. Yoga and Kayaking on the Hudson – 8/7, 8/14 & 8/21. Half day paddle combines yoga before and after time on the water. Day starts with orientation to equipment and paddling. $125/half day, includes equipment. Info/register: 845.246.2187; AtlanticKayakTours.com. Prenatal Yoga – 10:30-11:45am (8/7-9/18). Designed for moms-to-be, class strengthens & opens, cultivating breath awareness and mind-body unity through poses modified for the pregnant body. Pre-registration required. Quest Yoga Arts, 11-13 Main St., Mt. Kisco. $150/6wks. Questyogaarts.com. Free Meditation & Satsang – 1:30-2:30pm. Join a thought provoking discussion from a yogic perspective led by director and founder, Amy Pearce-Hayden, ERYT, followed by guided meditation. YogaScape & Spa, 1100 Rte.52, 2nd floor, Carmel. 845.225.9642; theyogascape.com. Candlelit Kundalini & Meditation – 5:30-7pm. Strengthen the nervous system, enhance creative potential, and find deep inner calm. Quest Yoga Arts, 11-13 Main St., Mt. Kisco. $20/paid by 8/5. Questyogaarts.com. Westchester Holistic Network Breakfast Meeting – 8-10am. Group gathering of holistically-minded people and breakfast. Guest speaker Astrologer Jenni Stone presents “Your Life Path and Purpose”. Spirituality Center at Good Counsel Campus, 52 North Broadway, (2nd floor) White Plains. $15/members; $18/guests. 914.422.1784; WestchesterHolisticNetwork.org. Reiki Share – 7-9pm. For Reiki practitioners of all levels (must have at least Reiki I certification), this is a chance to give and receive, share ideas and techniques, and generally bask in healing energy. No charge/donations encouraged. 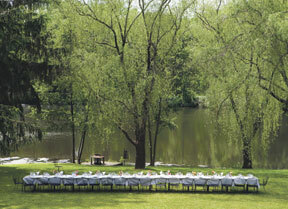 Awakenings, 215 Katonah Ave., Katonah. 914.232.0382; awakeningskatonah.com. Free Monthly Spiritual Meditation – 8-9pm w/Michael Rosenbaum. These meditations are designed to build a bridge to the Higher Self. Using group energy, find access to deeper places. Beginners welcome. 14 Cornel Dr., Goldens Bridge. Info: 914.218.9000. Women’s Herbal Circle – 10am-12:30pm. Learn how to make herbal tinctures, elixirs and teas to promote digestive health and take home potent herbal remedies. The Living Room, 103 Main St., Cold Spring. $45/includes materials. 845.270-8210. Reiki Healing Circle – 11am-1pm. Experience the benefits of loving Reiki energy. No prior training/experience required, only the sincere intention for healing. Everyone gets a turn on the table. Opal Moon, 2037 Albany Post Rd., Croton. $20. Registration required. 914.788.4955; opalmoon.net. Healing Circle – 2-4:30pm w/Elka Boren, Shaman & Clairvoyant. Also private session’s w/Elka available 8/11-8/16. Human Bodyworks Massage Therapy & Healing Arts Center, 32 Main St., Hastings on Hudson. $35/suggested healing circle donation. Register/info: 917.445.1767; HumanBodyworks.com. Restorative Yoga – 5-7pm. Incorporating gentle postures and breath, restorative yoga is a powerful practice that everyone can benefit from, regardless of age or fitness level. Quest Yoga Arts, 11-13 Main St. Mt., Kisco. $25/pre-paid by 8/12. Questyogaarts.com. Rising Star Healing System Initiation – 5–9pm w/Elka Boren, Shaman & Clairvoyant. Also private sessions w/Elka available 8/11-8/16. Human Bodyworks Massage Therapy & Healing Arts Center, 32 Main St., Hastings on Hudson. Register/info: 917.445.1767; HumanBodyworks.com. Prema Birthing Certification Class – 5:30–8:30pm w/Elka Boren, Shaman & Clairvoyant. Also private sessions w/Elka available 8/11-8/16. Human Bodyworks Massage Therapy & Healing Arts Center, 32 Main St., Hastings on Hudson. Register/info: 917.445.1767; HumanBodyworks.com. Summer’s Bounty Cooking Class – 6:30pm. Enjoy a healthy taste of summer and learn about healing properties of foods in this fun, interactive vegetarian cooking class. 360-C Mount Pleasant Ave., Mamaroneck. $45. Register/info: 917.843.9055; livehealthynewyork.com. Introduction to Massage Therapy Careers – 6-8 pm. Learn about the profession of massage therapy, hear about programs, and tour the school. Finger Lakes School of Massage, 272 N. Bedford Rd., Mount Kisco. Free. Register w/admissions at 914.241.7363. Synergy Yoga Gentle – 9:30-11am w/Laura Shea. A specially adapted weekly program of Hatha postures, suitable for all levels of experience. Opal Moon, 2037 Albany Post Road, Croton. $16. Limited space; registration preferred. 914.788.4955; opalmoon.net. Bold, Beautiful, Breathtaking Butterflies – 2pm. Recommended for children 8 and younger, learn all about butterflies and what makes them fascinating and important to the world. Make a beautiful butterfly craft! Greenburgh Nature Center, 99 Dromore Rd., Scarsdale. $2/members or $6. Info: 914.723.3470; greenburghnaturecenter.org. Farm Dinner at Cabbage Hill – 3pm. Tour followed by hors d’oeuvres hour, live music and seasonal five-course meal with wine pairings. The event will be rescheduled in case of inclement weather. Cabbage Hill Farm, 205 Crow Hill Rd., Mount Kisco. $150pp/all-inclusive. 914.666.7445; FlyingPigonLex.com. Digestive Health Lecture – 7:30pm w/Drs. Hiro & Michiko Izumi. Learn how NUCCA upper cervical chiropractic and enzyme nutrition therapy can help restore normal digestion and promote overall health naturally. 550 Mamaroneck Ave. Suite 103, Harrison. Free. Register/info: 914.310.9000; izumiwellness.net. Becoming a Yoga Teacher – 9:30-10:30am. For all interested in Lotus Gardens Yoga School 200 hour certification program, a chance to see the studio and discuss with Director, Lara Ward. Graceful Planet, 7 Berkshire Rd (route 34), Sandy Hook, CT. Pre-register: 960.354.6241; lotusgardensyoga.com. Mushroom Walk – 9:30am. Join members of COMA (CT-Westchester Mycological Association) for a mushroom walk through woodland trails. Walk followed by a communal lunch and a mushroom identification session. Greenburgh Nature Center, 99 Dromore Rd., Scarsdale. Free. 914.723.3470; greenburghnaturecenter.org. Blossom A Yoga Practice – 10:30-11:30am w/Lara Ward, Lotus Garden Yoga School Director. This class is for those wishing to become a yoga teacher. Graceful Planet, 7 Berkshire Rd (route 34), Sandy Hook, CT. Benefit for “Yes Grace Rocks” donation fee of $15. Pre-register: 960.354.6241; lotusgardensyoga.com. Pilates and Paddling – 9am-1pm. Learn how to engage core muscles when padding, and how to hold and grip their paddles to prevent fatigue, w/ Atlantic Kayak Tours, located on Annsville Circle in Peekskill. Info: PilatesOnHudson.com; 914.739.1178. Mushroom Basics – 1pm. Take a hike and discover the many different types of mushrooms. Muscoot Farm, Rte. 100, Somers. Info: 914.864.7282; westchestergov.com/parks. Massage School Open House – 6-8pm. Learn about the May 2012 part-time Massage Therapy Program, hear from instructors, and meet fellow students. Finger Lakes School of Massage, 272 North Bedford Rd., Mount Kisco. Free. Register w/admissions: 914.241.7363. Spiritual Gathering – 7-9pm w/Michael Rosenbaum. Join this growing community of heart-centered, spiritually-minded people, discussing and sharing a different spiritual subject each month along with a group meditation on that subject. All ages welcome. Human Body Works, 32 Main St., Hastings on Hudson. $10. Info: 917.445.1767. Beginner Yoga Series – 9:30-10:45am (7/1-8/5). Be guided, step-by-step, through yoga breathing, core postures and the flow that links all these elements together. Quest Yoga, 11-13 Main St., Mt. Kisco. $150/6wks. Questyogaarts.com. Pajama Yoga for Kids – 7-8:15pm (7/5-7/26) ages 7-12. Class takes kids through all ranges of motion creatively to dissolve excess energy, using breathwork and relaxation to prepare their minds and bodies for sleep. Quest Yoga Arts. 11-13 Main St. Mt. Kisco. $60/4 wks. Questyogaarts.com. 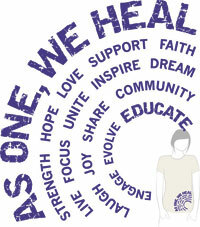 Healing Circle of Light –1st Wednesdays of each month. Free. All welcome. Spiritinside Healing Center, 344 Main St. Suite 205, Mt. Kisco. Info: 914.730.0155; spiritinside.net. Pranayama & Meditation – 11:15am-12noon (7/7, 7/14, 7/21, 7/28) w/Amy Pearce-Hayden. Direct and still attention through breath awareness and control, leaves one feeling focused, centered and revitalized. First class free. The YogaScape and Spa, 1100 Rte. 52, 2nd floor, Carmel. 845.225.9642. Holistic Moms Network – 6:30-8:30pm. Putnam County 7th anniversary and kids clothing swap (maternity clothes welcome). Anything left is donated to charity. Desmond-Fish Library Program Room, Rt. 9D & 403, Garrison. Info: 917.975.8623; holisticmoms.org. Fibromyalgia & Chronic Pain Sufferers – 7pm. 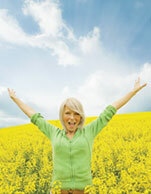 Lecture is limited to people who suffer from fibromyalgia and chronic pain. Upper Cervical Chiropractic. Includes dinner. Free. 914.868.6200. Psychic Message Circle – 7-9pm w/Priscilla Keresey. Receive messages from the other side as Priscilla facilitates between the two worlds, bringing in information from loved ones who have passed. Opal Moon, 2037 Albany Post Rd., Croton. $40. Registration required. 914.788.4955; opalmoon.net. Northern Westchester Butterfly Count – 10am. An annual rite of summer, butterfly enthusiasts are invited to partake in a citizen scientist monitoring effort to help count these fluttery jewels. Teatown Lake Reservation, 1600 Spring Valley Rd., Ossining. Free. Teatown.org. Puppet Show for Japan – 10am-12noon. For ages 2-6, a puppet show in Japanese along with craft activities in Japanese and English. Green Meadow Waldorf School Early Childhood Center Tappan Hill School, 50 Ichabod Ln., Tarrytown. Free/donations accepted. 845.356.2514 x301; gmws.org. The Yogic Lifestyle/Being in the Bhava – 2-6pm w/Shyam Das. Enjoy an afternoon of inspiring Satsang (lecture and discussion) on the art and application of yogic living. The YogaScape and Spa, 1100 Rt. 52, 2nd floor, Carmel. $50. 845.225.9642. Spiritual Gathering –10:30am-12:30pm. w/ Michael Rosenbaum. Join this growing community of Heart-centered spiritually-minded people. Discuss a spiritual subject and group meditation follow. All ages welcome. $10 donation. 14 Cornel Dr. Goldens Bridge, Info: 914.218.9000. Free Meditation & Satsang – 1:30-2:30pm. Join a thought provoking discussion from a yogic perspective, led by director and founder, Amy Pearce-Hayden, ERYT; followed by guided meditation. YogaScape & Spa, 1100 Rte.52, 2nd floor, Carmel. 845.225.9642; theyogascape.com. Artists Reception – 3:30-5:30pm. Touched By The Muse, Watercolors and Drawings by Holly Meeker Rom. Wainwright House, 260 Stuyvesant Ave., Rye. Free. 914.967.6080; wainwright.org. Restorative Yoga – 5-7pm. Restorative Yoga is a powerful practice that everyone can benefit from, regardless of age or fitness level, incorporating gentle postures and breath. Quest Yoga Arts, 11-13 Main St. Mt. Kisco. $25/pre-paid by 7/8. 914.241.9642; questyogaarts.com. Kids Summer Adventures – 10am-3pm. 7/11-7/15 (ages 10-12). Weeklong sessions include kayaking, a day aboard a fishing boat, hiking, visits with birds of prey, wilderness survival and more. Beczak Environmental Education Center, 35 Alexander St., Yonkers. $350. 914.377.1900 x12; Beczak.org. Westchester Holistic Network Breakfast Meeting – 8-10am. Group of holistically-minded people and breakfast. Sandra Mendelson, Quantum Light Therapy Practitioner and Holistic Health Counselor, presents.2nd floor Spirituality Center at Good Counsel Campus, 52 North Broadway, White Plains. $18 non-members/$15 members. Info: 914.422.1784; WestchesterHolisticNetwork.org. Angelic Guided Meditation – 7-9pm w/Francine Vale. Bring the self more fully into alignment with the Higher Self, experiencing greater self-empowerment, peace and harmony. Human Bodyworks Massage Therapy & Healing Arts Center, 32 Main St., Hastings on Hudson. $8. Reserve/Info: 917.445.1767; HumanBodyworks.com. Parents of Young Adults w/Asperger Syndrome – 7-9pm (7/13 & 7/27). Meet in a safe environment to share concerns and issues related to children about socialization, behavior, education, and more. $10 per meeting. Wainwright House, 260 Stuyvesant Ave., Rye. 914.967.6080; wainwright.org. Tea & Play – 10am-12noon. An opportunity for parents to learn about programs for young children ages 3-6 and view the new nursery/kindergarten classroom. Green Meadow Waldorf School Early Childhood Center at Tappan Hill School, 50 Ichabod Ln., Tarrytown. 845.356.9715; gmws.org. Reiki I Class – 10am-5pm w/Anne Bentzen, Usui/Karuna Master. Learn self-healing benefits of Reiki, history, ethics, and hand positions. Stern Chiropractic, 27 Radio Circle Dr, Mt. Kisco. $150 includes manual/certificate. Register by 7/5; 914.588.4079. Hilltop Hanover Book Club – 6-7:30pm. Meet the second Thursday of the month to discuss a book on a food, farming, or environmental topics. Hilltop Hanover Farm, 1271 Hanover St., Yorktown Heights. $5. Registration required: 914.962.2368; hilltophanoverfarm.org. Free Monthly Spiritual Meditation – 8-9pm. w/ Michael Rosenbaum. have a spiritual experience and connect with the higher aspects of self and by harvesting group energy everyone has a deeper experience. Beginners welcome. 14 Cornel Dr. Goldens Bridge, Info: 914.218.9000. Feminine Faces Unfolding – 6-9pm (7/15) 12-6pm (7/16, 7/17). A weekend immersion led by Liz Schulman, ERYT 500 & Amy Pearce-Hayden, RYT 500. Gather to celebrate sisterhood and explore through the Goddess archetypes. The YogaScape and Spa, Carmel. 845.225.9642 & Saturday & Sunday at The Yoga Co-op at The Garrison; 845.224.9909. Psychic Fair – 7/16 & 7/17 at the Sanctuary in Carmel, a safe place for spiritual growth. 97 Old Rt. 6, Carmel. Info: 845.225.3777; CarmelSanctuary.com. Birdwatching – 7:30-9:30am w/Steve Robbins. A morning walk through the farm’s pastures and hiking trails. Identify species and consider how habitat, weather, and other environmental factors influence diversity. Hilltop Hanover Farm, 1271 Hanover St. Yorktown Heights. $10/adult; $5/children. Register: 914.962.2368 x 2; hilltophanoverfarm.org. Synergy Yoga Gentle – 9:30-11am w/Laura Shea. A specially adapted weekly program of Hatha postures suitable for all levels of experience. Opal Moon, 2037 Albany Post Rd., Croton. $16/weekly. Limited space; registration preferred .914.788.4955; opalmoon.net. Local Foraging for Food and Medicine – 10am-3pm. w/ Dina Falconi. $30 preregistration. A Roots & Wings Workshop at South Church, 343 Broadway, Dobbs Ferry. Register: Alex 914.479.7305. Flight of the Pollinator – 11am-12:30pm. Bees, butterflies and birds perform the vital job of sustaining healthy plant populations. View the colorful landscape they create and learn about this ecological service. Teatown Lake Reservation, 1600 Spring Valley Rd., Ossining. Teatown.org. Soul Guidance at Spiritinside – 11am-4pm. w/ Robin C. Mueller and Reiki infused card readings with Angela Pizzarello. Pre registration required. Call for cost. Spiritinside Healing Center, 344 Main St. Suite 205, Mt. Kisco. Info: 914.730.0155; spiritinside.net. Meet & Greet/Book Signing – 11:30am-1:30pm w/Roland Comtois, internationally acclaimed channel, author and speaker. Attendees frequently receive spontaneously channeled personal messages. Awakenings, 215 Katonah Ave., Katonah. Free. 914.232.0382; awakeningskatonah.com. Hudson Valley Renegades – Gates open at 5:30pm. Game starts 7:05pm. Buy tickets in advance at Gadesgroups.com and enter “support” as password to benifit Support Connection. Info: SupportConnection.org. Urban H20: Listen Local – 7pm. Robert Hill Band and Toby Walker at Beczak Environmental Education Center, 35 Alexander St., Yonkers. $10 admission includes free beer from sponsor Captain Lawrence Brewing Company. 914.377.1900 x12; urbanh2o.org. The Tree Whisperer – 9am-5pm. Workshop with Jim Conroy, the Tree Whisperer, and Basia Alexander directly from their sold-out weekend at the Omega Institute. Hilltop Hanover Farm, 1271 Hanover St., Yorktown Heights. $95/includes organic fresh picked lunch. 914.589.6744; skillsoffthegrid.com. The Art of Beekeeping – 1-3pm w/Ralph Szur. Ever wonder how many miles the bees fly to make one pound of honey? Learn the answer to this question and more during an exciting and informative tour of the hive. Muscoot Farm, Rte. 100, Somers. Free. 914.864.7282. Healing Circle – 2-4:30pm w/Elka Boren, Shaman & Clairvoyant. Also private session’s w/Elka available 7/14-7/19. Human Bodyworks Massage Therapy & Healing Arts Center, 32 Main St., Hastings on Hudson. $35/circle. Register/info: 917.445.1767; HumanBodyworks.com. Rising Star Healing System Initiation – 5–9pm w/Elka Boren, Shaman & Clairvoyant. Also private session’s w/Elka available 7/14-7/19. Human Bodyworks Massage Therapy & Healing Arts Center, 32 Main St., Hastings on Hudson. Register/info: 917.445.1767; HumanBodyworks.com. Kids Summer Adventures – 10am-3pm. 7/18-7/22 (ages 7-9). Weeklong sessions include kayaking, a day aboard a fishing boat, hiking, visits with birds of prey, wilderness survival and more. Beczak Environmental Education Center, 35 Alexander St., Yonkers. $350. 914.377.1900 x12; Beczak.org. Information Session/The Graduate Institute – 5pm. 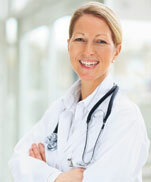 Learn about a dynamic Masters Degree program in Integrative Medicine. Stamford Hospital’s Tully Health Center, Conference Room C., 32 Strawberry Hill Ct., Stamford, CT. Free. 203.874.4252; learn.edu/events. Prema Birthing Certification Class – 5:30–8:30pm w/Elka Boren, Shaman & Clairvoyant. Also private session’s w/Elka available 7/14-7/19. Human Bodyworks Massage Therapy & Healing Arts Center, 32 Main St., Hastings on Hudson. Register/info: 917.445.1767; HumanBodyworks.com. Soy Candle Class – 6-8pm. This totally hands-on class shows how to make beautiful, healthy, non-toxic candles to give as a gift or keep for the self. Chocolations in Mamaroneck. For details, call 516.972.3165. Summer Kirtan with BlisSing, Satya-Franche and Dennis Winge – 7-9pm. An evening of soaring devotional singing to quiet the mind and open the heart. $20/advance, $25/door. Garrison Institute, Garrison. 845.424.4800; garrisoninstitute.org/kirtan2011. Friends of Wainwright Picnic – 6-9pm. Come enjoy music by The Brazilwood Trio on the back lawn. Wainwright House, 260 Stuyvesant Ave., Rye. $5/individual; $15/family of 4. 914.967.6080; wainwright.org. Kundalini Yoga Teacher Training – Time TBA. KRI Certified Level One begins at Golden Temple Yoga, Katonah. Info: 914.232.3473; goldentempleyoga.com. Candlelit Kundalini & Meditation – 5:30-7pm. Strengthen the nervous system, enhance creative potential, and find deep inner calm. Quest Yoga Arts, 11-13 Main St., Mt. Kisco. $20/pre-pay by 7/22. 914.241.9642; questyogaarts.com. Kids Summer Adventures – 10am-2pm. 7/25-7/29 (ages 5-6). Weeklong sessions include kayaking, a day aboard a fishing boat, hiking, visits with birds of prey, wilderness survival and more. Beczak Environmental Education Center, 35 Alexander St., Yonkers. $250. 914.377.1900 x12; Beczak.org. Open House/The Graduate Institute – 5:30pm. Learn about groundbreaking degree programs for adult learners. The Graduate Institute, 171 Amity Road, Bethany, CT. 203.874.4252; learn.edu/events. Massage Intro Evening – 6-8pm. Explore massage therapy as a career; for prospective students, friends, and family members. The Finger Lakes School of Massage, 272 North Bedford Rd. Mt. Kisco. Free. 914.241.7363. Green Drinks – 6-8pm. Monthly informal social networking built around a commoninterest in the natural environment. This month at the Blue Pig, 121 Maple St. Croton. Info: Dani 914.403.5149. Spiritual Gathering – 7-9pm w/Michael Rosenbaum. Experience a joyous and enlivening evening to share, connect, and learn with each other. Human Bodyworks Massage Therapy & Healing Arts Center, 32 Main St., Hastings on Hudson. $10. Register/info: 917.445.1767; HumanBodyworks.com. Digestive Health Lecture – 7:30pm w/Drs. Hiro & Michiko Izumi. Learn how NUCCA upper cervical chiropractic and enzyme nutrition therapy can help restore normal digestion and promote overall health naturally. 550 Mamaroneck Ave. Suite 103, Harrison. Free. Register/info: 914.310.9000 ; izumiwellness.net. Information Session/The Graduate Institute – 7-9pm. Learn about a dynamic Masters Degree program in Integrative Medicine. Total Life Care Center, 152 East Avenue, Norwalk, CT. Free. 203.874.4252; learn.edu/events. Advanced Reiki Class – 9am-12noon w/Anne Bentzen, RM for Reiki I & II practitioners. Energy exercises to improve flow and increase sensitivity for byosen scanning. Stern Chiropractic, 27 Radio Circle Dr., Mt. Kisco. $40. Pre-register by 7/25. 914.588.4079. BlisSing! (Kirtan) – 7-9pm w/Eileen O’Hare and Cat Guthrie. Enjoy an inspiring evening of music and chanting dedicated to increasing the loving frequencies in the world. Opal Moon, 2037 Albany Post Rd., Croton. $20. Registration required. 914.788.4955; opalmoon.net. Putnam County Fair – 7/30-7/31. Visit the Muscoot 4-H Gang and Muscoot’s animals as they show at the Putnam County Fair. Veterans Memorial Park, Carmel. Woodlands Hike – 10am-12noon. Join farm staff to hike the farm’s beautiful 3.5 miles of woodland trails. Hilltop Hanover Farm, 1271 Hanover St., Yorktown Heights. Free. Canceled if rain. Pre-register: 914.962.2368 x 2; hilltophanoverfarm.org. Planning the Late Season Vegetable Garden – 11am-1pm. Come learn how to plant a late season vegetable garden and have fresh vegetables into late fall. Hilltop Hanover Farm, 1271 Hanover St., Yorktown Heights. $20/adult; $5/children. Registration required: 914.962.2368 x 2; hilltophanoverfarm.org. Pickling 101 – 1-4pm. Learn how to preserve summer’s bounty. Cucumbers and other in-season vegetables are used to teach how to safely make and preserve delicious pickles. Hilltop Hanover Farm, 1271 Hanover St., Yorktown Heights. $25. Pre-register: 914.962.2368 x 2; hilltophanoverfarm.org. Chinese Medicine & Emotions – 12-2pm. Health lecture on the 5 emotions of Traditional Chinese Medicine and how they relate to anxiety and depression. Eastgate Acupuncture, 177 E. Hartsdale Ave., Ste LLA, Hartsdale. Free. RSVP: 914.713.1000; eastgateacupuncture.com. WHN Sponsored 8th Annual Potluck – 4-8pm. Enjoy an afternoon of good food, socializing, networking and honoring locally born authors. Bring an entree, salad, appetizer, dessert or beverage for 3-6 people. Circle of Tranquility, Hawthorne. RSVP: 914.769.1446; bobbisholisticcare.com. Fibromyalgia & Chronic Pain Sufferers – 7pm. Lecture is limited to people who are Fibromyalgia and chronic pain sufferers. Upper Cervical Chiropractic. Includes dinner. Free. 914.868.6200. CARE for Teachers Summer Retreat – 8/6-8/11. Cultivating Awareness and Resilience in Education. Professional development training for teachers, promoting mindfulness through contemplative practices. Garrison Institute. 845.424.4800; garrisoninstitute.org.